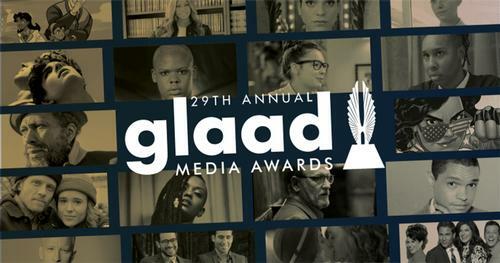 The GLAAD (Gay & Lesbian Alliance Against Defamation) Media Awards took place on April 12 in Los Angeles and were broadcast on the LOGOtv network last night. The awards, now in their 29th year, honor the media for their fair, accurate and inclusive representations of the lesbian, gay, bisexual, transgender, and queer communities and the issues that affect their lives. Special honorees included Britney Spears, who was honored with a Vanguard prize, and Jim Parsons with the Stephen F. Kolzak Award. You can browse, place holds, and check out books and movies of this year's nominees and winners from our online catalog, as well as find additional LGBTQ+ resources via our Explore Topic!